Bishop Regina E. Shearer is the Executive Pastor of Zion Church Ministries, overseeing the administration and ministries of Zion Church Ministries. As Executive Pastor, Bishop Shearer preaches, teaches, provides leadership for all church ministries, and works directly under the supervision of Bishop Robert G. Brown. Bishop Shearer has direct oversight over ministry leaders and works with the other ministerial staff members in an advisory role regarding their ministries. Bishop Shearer is a national preacher and speaker and has an extensive list of accomplishments and awards. In addition to her service at Zion, she is the Dean of the Covenant Christian Bible Institute, as well as an instructor, and is the National Elder for the Covenant Christian Church Alliance, Inc. (CCCA), serving as the Chair of the Elders Council. Bishop Shearer is also the Executive Director of the Women of the Word division of RGB Ministries, Inc. Bishop Shearer was elevated to the office of Bishop in May 2016, and serves as the Suffragan Bishop to Bishop Robert G. Brown, Presiding Prelate of the Covenant Christian Church Alliance, Inc. In that role, she serves as administrator for the CCCA and CCCA churches, as assigned by Bishop Brown. Bishop Shearer's educational background includes degrees in Physics, French, a Masters of Divinity, and an Doctor of Humanitarian Service conferred by Rivier University. She is currently the Associate Vice President for Student Success at Rivier University. Rev. Benjamin K. Marshall, Sr. is an Associate Minister of Zion Church Ministries, serving as the ministerial Liaison to the Diaconate Ministry, working closely with the Chairman of the Diaconate to serve the disciples of Zion. Under the guidance of Bishop Brown. Rev. Marshall preaches and teaches adult Church School classes. Rev. Marshall also works closely with his wife, Rev. Lucy Marshall, to coordinate Zion Church Ministries representation at MCI Framingham events. Rev. Marshall is also Director of Facilities Management for the Covenant Christian Church Alliance. ​Rev. Lucy Marshall is an Associate Minister at Zion Church Ministries and is responsible for preaching, teaching Bible Study classes when necessary, and serves as the Chaplain of MCI Framingham. 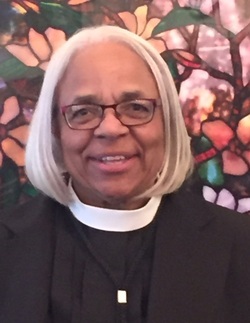 In her role as Chaplain, Rev. Marshall oversee the Protestant Church programming for the inmates and works closely with other churches to coordinate services and event programming that represents a wide range of denominations and ecumenical involvement. Rev. Marshall was president of Zion's Missions Ministries until she was called to the Protestant Chaplaincy at MCI Framingham in July 2000. She is a frequent teacher at the United Baptist Congress of Christian Education and regional Prison Ministry conferences. Rev. Marshall holds a Bachelors Degree in Liberal Arts from Norwich University in Montpelier, Vermont. She has attended graduate courses in Psychology at Framingham State College and Master's courses at Gordon - Conwell Theological Seminary. She is the wife of Rev. Benjamin Marshall. Minister Robert R. Coleman is an Associate Minister of Zion Church Ministries. Spending his earlier years in the southeastern United States and having given his life to Christ at the age of six, Minister Coleman has been actively involved in various ministries, such as youth and young adults, choirs, ushers, and others - for as long as he can remember. He has held leadership positions in and received awards and recognition from local and national organizations, including the National Baptist Convention, USA, Inc. Minister Coleman officially accepted the call to the preaching ministry in 2011 and was licensed in September of the same year. arts initiatives. He also serves as an assistant to Bishop Robert G. Brown. ​Min. Coleman has an educational background in Aviation Operations and Business Administration. He is a licensed pilot and is currently the Vice President & General Manager of Empyreal Jet, LLC. Min. Coleman is matriculating through the Biblical Studies program of the Covenant Christian Bible Institute (CCBI) and plans to pursue a Masters of Divinity and Doctorate of Ministry in the future. Evang. 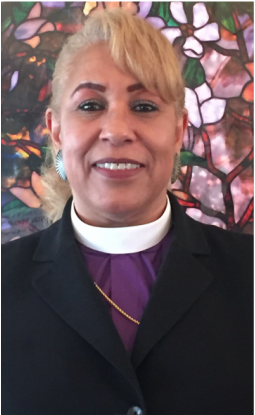 Marcia Remell (Robinson) Brown is married to Bishop Robert G. Brown, Senior Pastor of Zion Church Ministries and serves as the Office Manager of Zion Church Ministries. She is an active Evangelist and Director of the Women's Fellowship Ministry. She is also a Church School instructor and she has taught in and supervised the annual Vacation Bible School. Evang. Brown graduated in 2007 from the Covenant Christian Bible Institute receiving her diploma in Biblical Studies. She has participated in numerous workshops and seminars over the years, as well as serving as a keynote speaker. She is the past President of the Women's Auxiliary of the United Baptist Convention of MA, RI, & NH, and Co-Director of Minister Wives and Widows of the Covenant Christian Church Alliance, Inc. In October 2004, Evang. Brown received the Service Hero Award from the Portal to Hope organization and a citation from the Mayor of Everett, David Ragucci, for her demonstrated service and support to Portal to Hope.